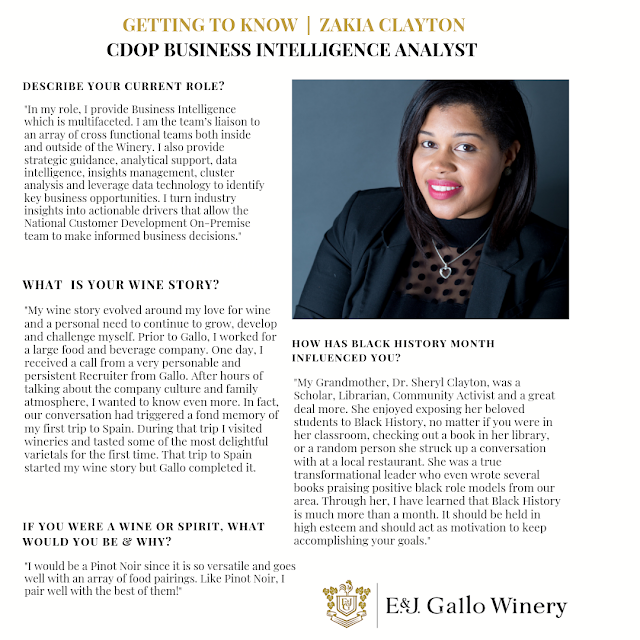 As we continue to celebrate Black History Month, we're excited to highlight Zakia Clayton, Business Intelligence Analyst at E&J Gallo Winery, and commemorate her accomplishments in the corporate construct. 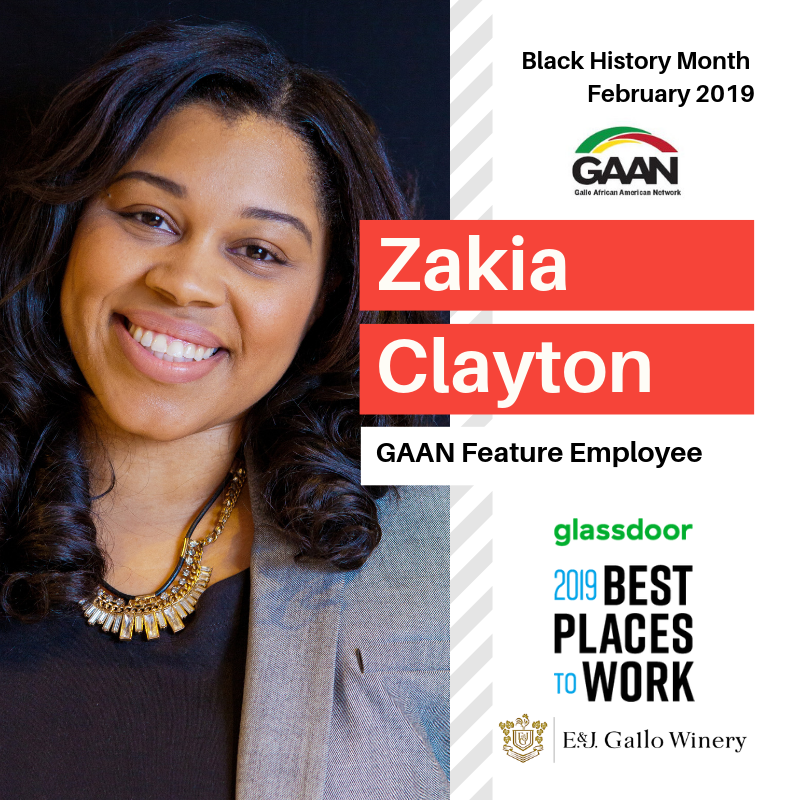 During the month of February, Gallo has been spotlighting the careers of African-American employees and their many accomplishments, both with and aside from the brand. 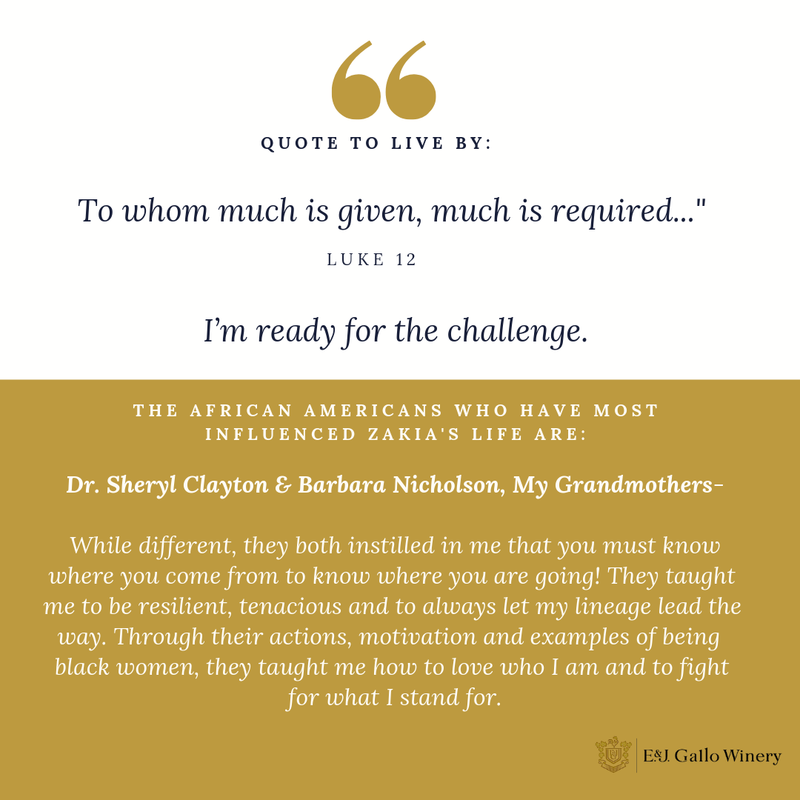 This has become a major initiative to promote Diversity & Inclusion in the Wine & Spirits industry, and will clearly reflect how Black employees, Black buying power, and their contributions provide major impacts to the beverage industry. This translates to broader access, advertising, and brand awareness. 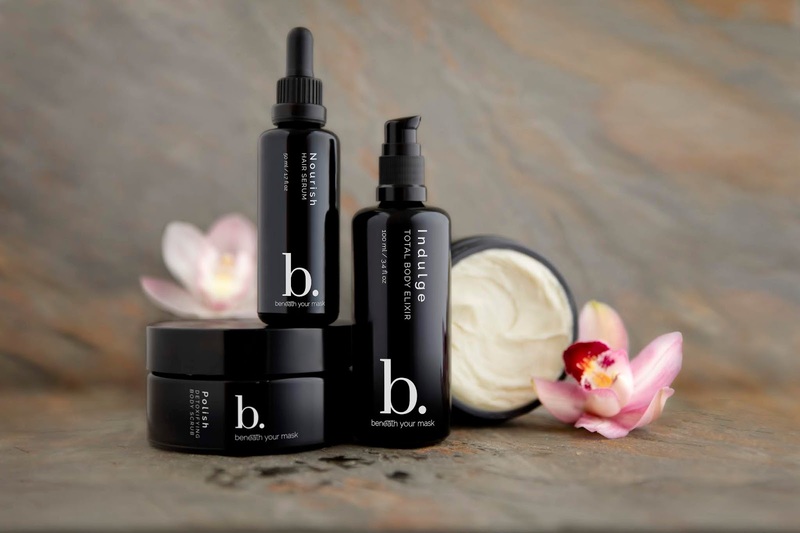 Always innovating, Gallo has been using employee spotlights to organically build as many media impressions, engagements, and social media actions as possible. Even more while running this campaign. The benefits will be immeasurable afterward. 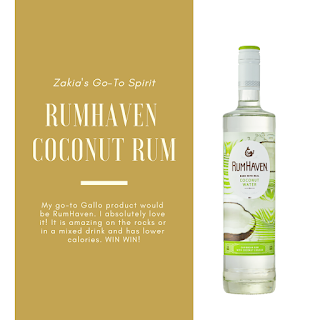 Here's a little more about Zakia, her wine story, and of course--Which Wine and Why? 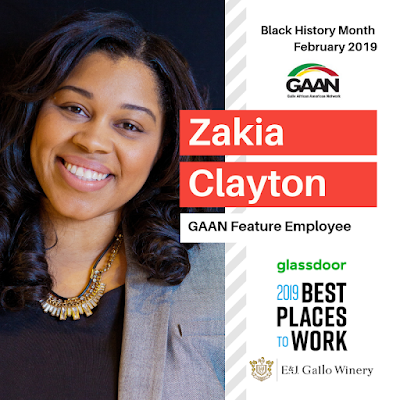 Check out the other employees spotlighted on social media @gallocareers on Twitter, Instagram and Facebook, and E&J Gallo Winery on LinkedIn. 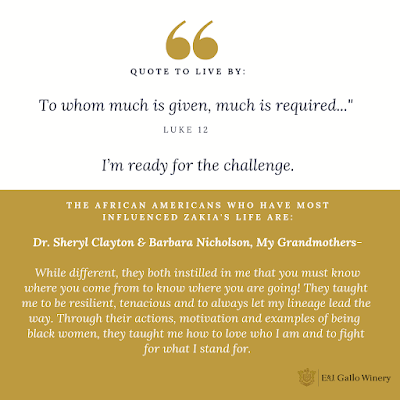 Be sure to use #gallocelebratesbhm #diversityinWine when you share! Protection of a Fashion Business! The next edition of the AFL Online class is coming up next week. Join us on February 27th and get answers to the question most entrepreneurs are constantly trying to figure out. "How can I protect my business?" ▪Learn about the key areas which you need to cater for in order to protect your business, as it will help you operate your business efficiently. ▪Learn how to enhance your market value through the law. ▪Learn about the importance of an agreement in a business in dealing with partners, clients,investors employees, photographers, make up artists and individuals in the industry. ▪Brand development through the law. ▪Determine which business structure is best for your company. 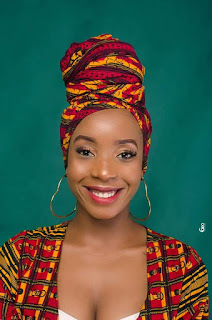 Africa Fashion Law Blogger, Annie Oti! Fashion Law has been a rising niche in America for over 10 years now, but it's not the only country in on all the fun. We got to chat with the Creator of Africa Fashion Law, Annie Oti, and get her take on the niche in general, as well as what's happening in her home of Nigeria. Take a look at our conversation below, AND get ready for the next edition of the AFL Online class. Get answers to the question most entrepreneurs are constantly trying to figure out, February 27th and 28th! And now for the fashion law chat! I have always had interest in fashion from my days in secondary/high school. I always made a conscious effort to stand out. I enjoyed watching documentaries, runway events on fashion TV. Initially, I didn't know anything about designing, so when I had a creative design in my head, I described it on paper. My love for fashion then and now has only grown stronger. 2. 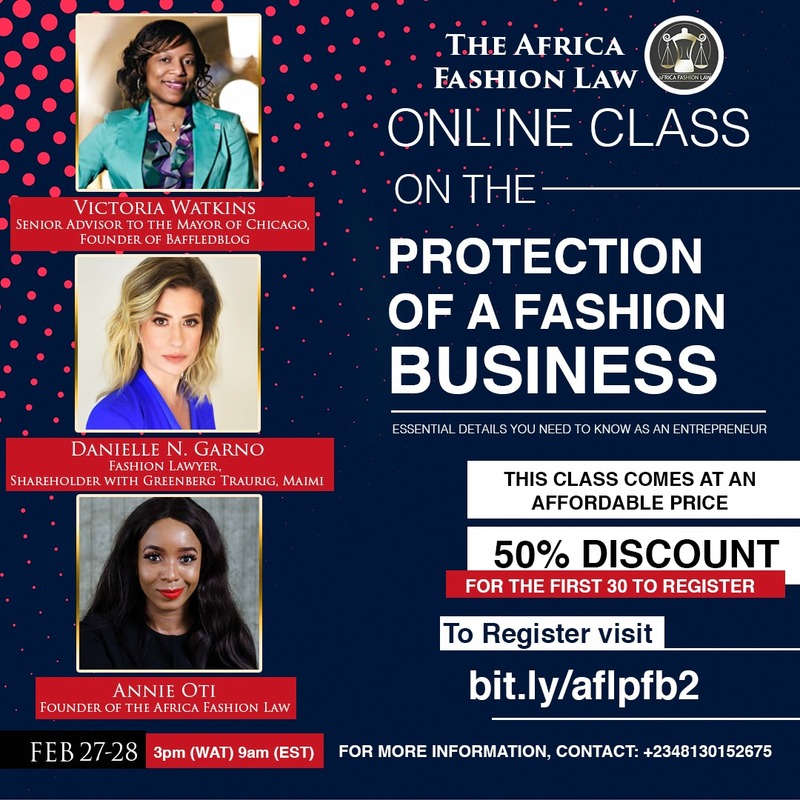 How you would you describe your role in fashion law in Nigeria? Have you ever been part of the fashion industry in other countries? Fashion law is relatively new and it is an emerging aspect of law in the world. As a budding fashion lawyer I understand the importance of the law in a business and to a large extent, I understand the business of fashion. 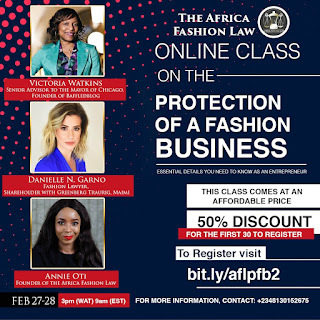 Fashion law is gradually gaining recognition in Nigeria, there are several entrepreneurs under the fashion industry and in order for them to take their business to the next level, it is essential that the legal aspect is put in perspective. 3. 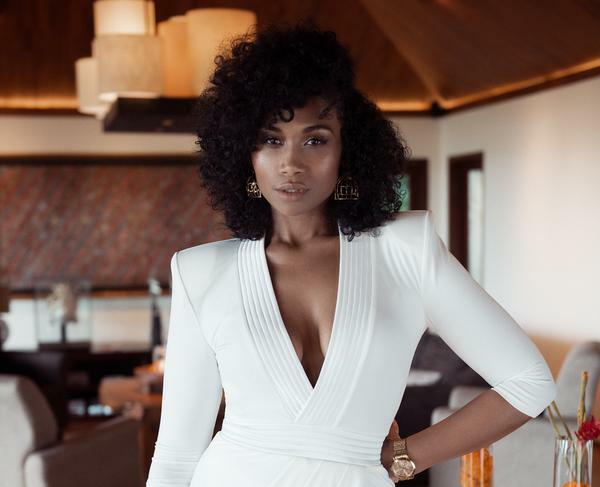 What do you just adore about the Nigerian fashion industry? I love the fact that the industry is growing and it is appreciated and recognized globally. 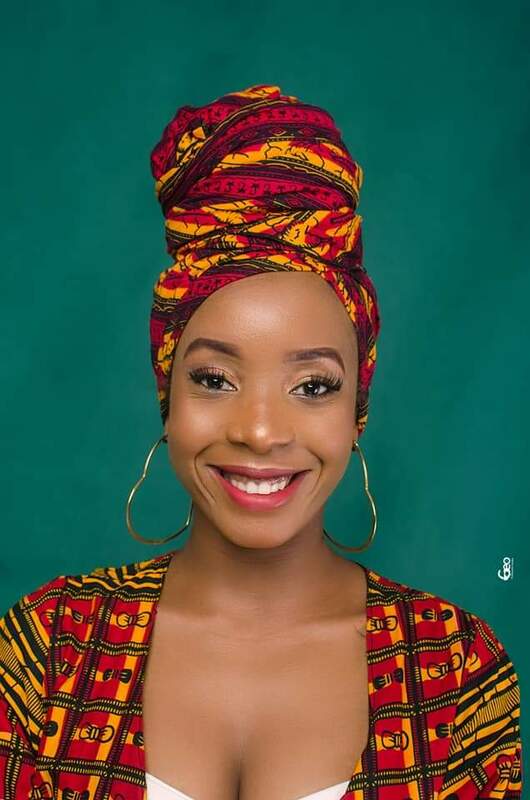 There are so many creative passionate individuals in the fashion industry in Nigeria that are driven to make a huge difference. The industry has great potential and so much value which I totally adore. 4. 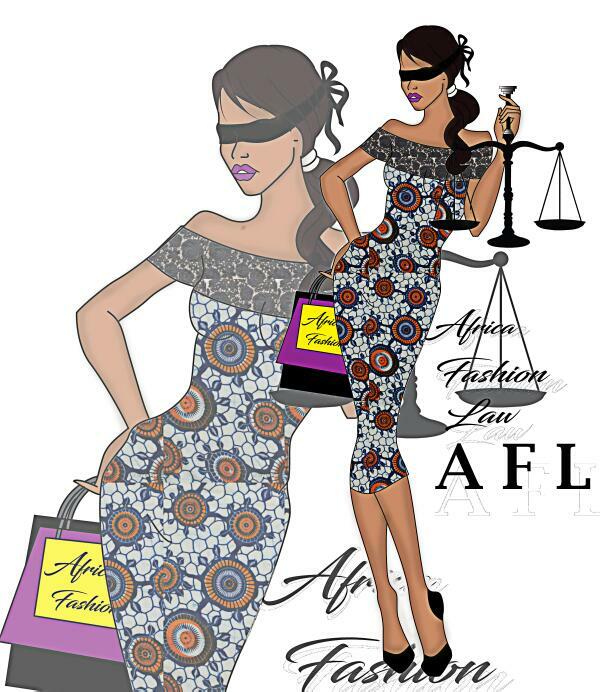 What are some legal issues or challenges you feel are the most pressing right now in the fashion industry? There are several legal issues faced by the fashion industry. One of the major legal challenges faced by the fashion industry is the lack of clarity as to the protection of a designers work. 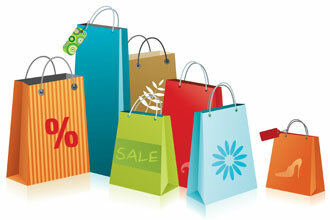 Technology has revolutionized the fashion industry by increasing the pace of reproduction of outfits. This also has increased the level of infringement globally. The necessity of a reform of Nigerian intellectual property laws to protect Nigerian fashion designs is apparent. Intellectual property law reform in Nigeria would not only be beneficial to protecting designers and the industry at large, but also could provide direct economic benefits which would help protect the prosperity of Nigeria's fashion designers. 5. What inspired you to start your blog? 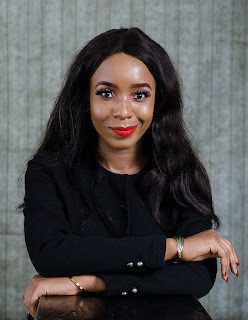 Right before I got into the university, I read about fashion law and I told myself this is what I would love to do, but I made no move towards that...At a conference, I met a role model who was a lawyer and I spoke to her about fashion law... The first thing she asked me was “you have passion for fashion law, what are you doing about it?” She inspired me to start up my blog. She motivated me to make a move and I took the step. I had three great inspirations: my passion, the fact that I understood the value of what I was going to share and the lady who told me to make a move. 6. What advice would you give to anyone considering getting into the fashion industry as a designer? What would you tell interested lawyers or law students? •Always believe in yourself.. Always! 7. What do you feel the fashion law industry needs most? What do you plan to do to help achieve those needs? 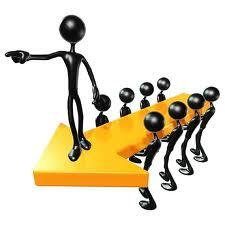 The fashion industry needs a legal and business structure that can promote the businesses in the industry. There is the need for a proper business and legal education in this industry. The industry is not lacking in talent but these creatives need knowledge on how to run their businesses and also steps to take to protect their businesses in order to get to the next level. 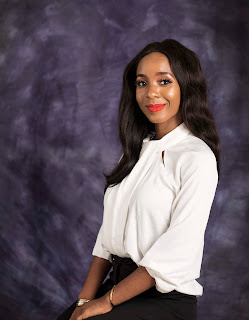 I have actively been a part of the fashion industry for six years, the Nigerian fashion industry has massive potentials and for these potentials to be fully maximized, the industry has to be taken a whole lot more serious. The idea of a fashion business equally has to be taken serious. Through the Africa Fashion Law platform, I hope to make a difference in the industry by providing business and legal information to start-up and running fashion brands--information which would be necessary for the development of the fashion brands. 8. What do you consider your "fashion mark"? (something you always wear or something people always recognize about your style). Hmmm... let me think, there is something about black. I always find myself in black, maybe because it is part of the dress code colors for lawyers/law students. 9. What's one quote that inspires you in life? "Success is you versus yourself"... best quote ever! Thanks Annie for hanging with us! Can't wait for the panel. 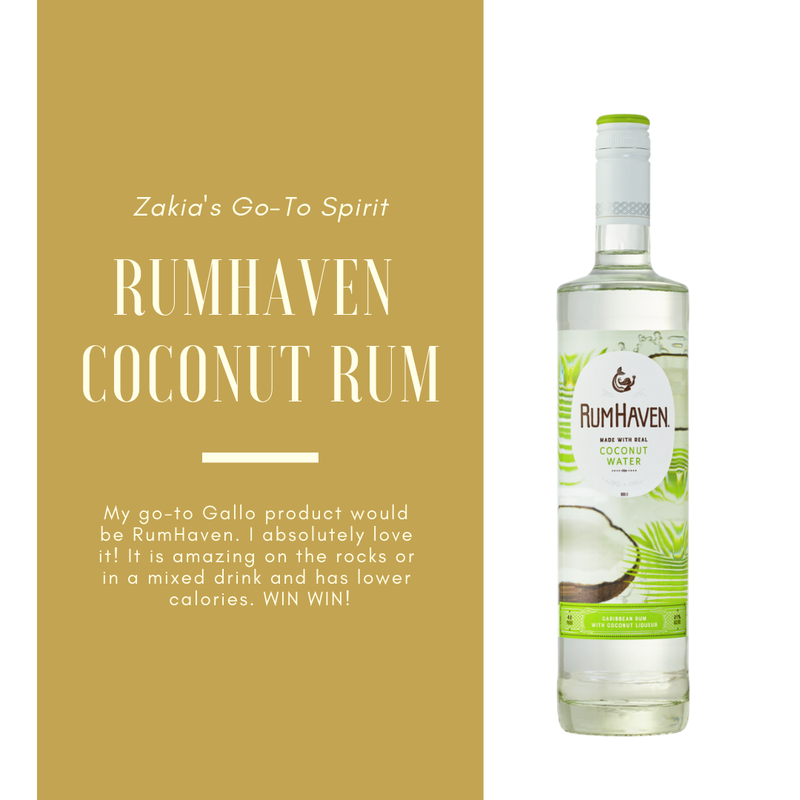 As we jump head first into 2019, we want to remind you about this cool crowdfunding campaign for one of our faves. 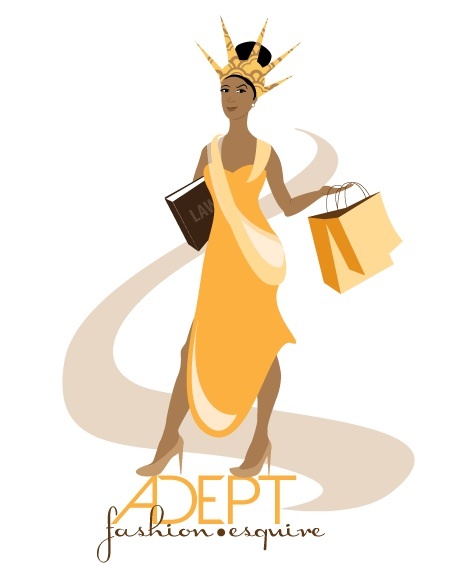 Dee Browley, of Chicago's Relax She's Natural Hair Salon is continuing to do MAJOR things! After being highlighted in Essence Magazine as a top hair care salon in the nation, Dee is on the move and gracing us with her many talents. In the Spring, she will be heading to the exclusive, renowned Mahogany Natural Hair Academy, to continue sharpening her skills, and set her own path to educate ablaze.